Whether you are starting out or scaling down, learning how to decorate a smaller home is sure to come in handy at some stage of your life. When it comes to style size does not matter, it’s what you do with it that counts. Just because the space is small does not mean your furniture and finishes should be too, in fact, using only small pieces in the space will have the opposite effect, making it look bitty and cluttered. Mix it up by using different size pieces put together cleverly and creatively as demonstrated below in the lounge with large sofa and smaller chairs. The use of a clear Perspex or glass coffee table is a brilliant solution in a small living area; it is functional without being imposing. Opt for white shutters as window finishes against white walls to create a monotone backdrop to your decor, this will make the room seem bigger and lighter. If you want to introduce colour into a smaller space, do so sparingly; with either a feature wall or single statement piece. 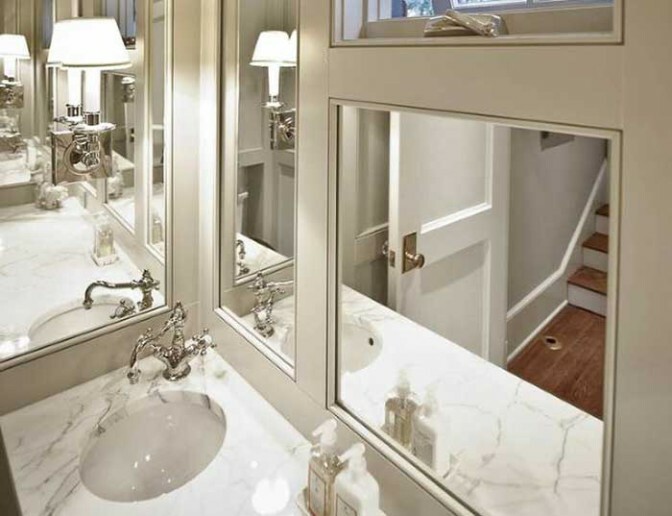 The best advice on how to make a small area look bigger is to pay careful attention to the lighting of the space. This pertains to both natural and artificial lighting, as well as decor tricks on how to maximise both. Allow natural light to flood the room by choosing window finishes that can be opened to the maximum to let in the sunshine. 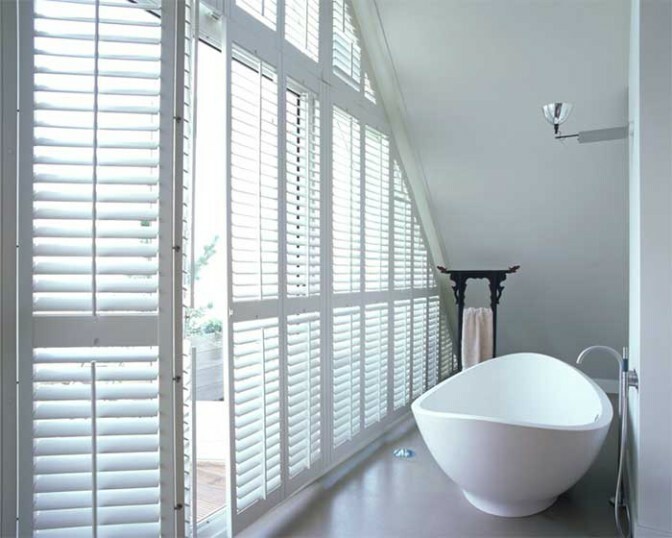 Shutters and blinds are great for directing light into a space; with a tilt of the shutter louvres or blind slats, dark corners can be lit up and long stretches of sunshine can keep the space interesting and warm. In an open plan living area, use area rugs and subtle changes of colour palette and furniture styling to indicate varying purpose. Artificial lighting can be used to great effect to separate areas i.e. a chandelier over a dining table and downlights in the kitchen. 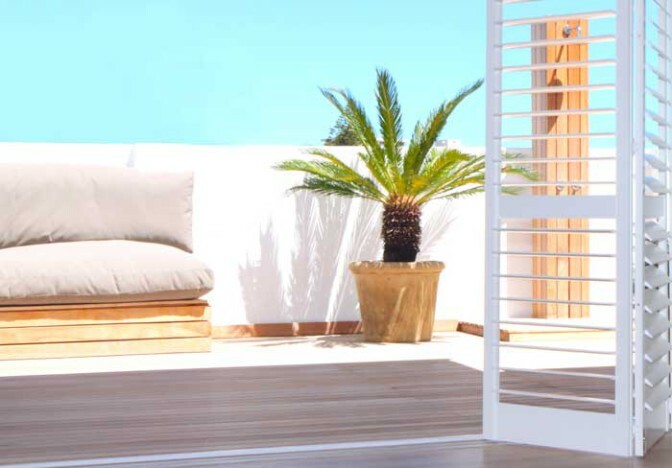 If you are fortunate enough to have an outdoor area leading off your room, create a generous opening that allows you to integrate the indoor and outdoor spaces increasing your living area. 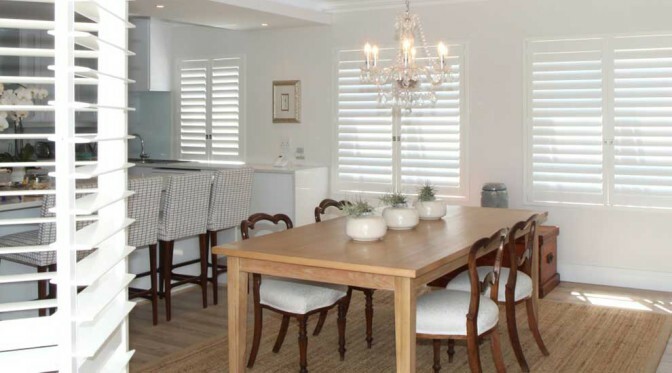 Shutters are ideal for this purpose, but be sure to consider how the shutters stack up when opened (as shown below) and allow for this space in your room design and layout. A fantastic tip on how to make a small room seem bigger is to create the impression of more space by maximising the vertical space of the room. Floor to ceiling windows and window finishes draw the eye up and they allow in maximum light. In the bathroom shown below, the crisp clean white palette helps to make the room airy open and much larger than it actually is. 6. Use all the space at your disposal by simply considering the best possible application. Small spaces can pack a big punch, follow our tips and create a knock-out design for your home.